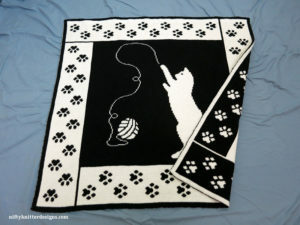 The pattern includes two sizes — baby blanket (pictured) and throw blanket. 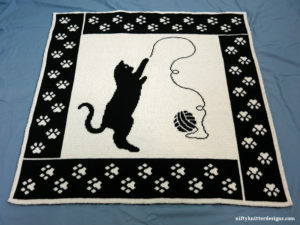 The finished size of the baby blanket is approximately 40” x 39” (101 cm x 99 cm), and can also work as a small lap blanket. 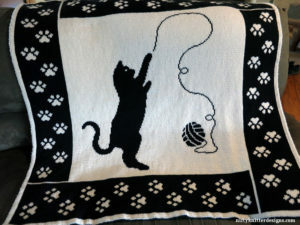 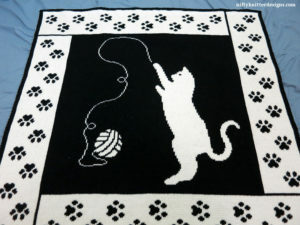 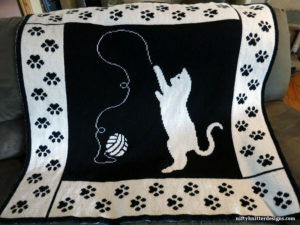 The finished size of the throw blanket is approximately 50” x 55” (127 cm x 140 cm). 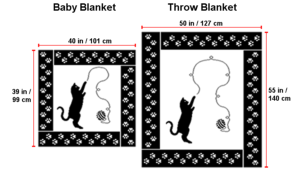 See the image showing the comparison of the dimensions. 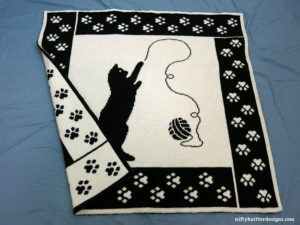 Check out the matching Cattitude Scarf!